18" Dark Matter Energy CRASH. NEW from Authorized Dream Dealer with Full 2-year warranty. Dream Dark Matter cymbals are created from a proprietary process where. About Dream Cymbals The bell is dry and integrated with a focused attack. There are main 4 categories of traditional singing bowls. Cast singing bowls are often painted with Tibetan designs on both sides. About Tibetan Singing Bowls:What are Singing Bowls?. 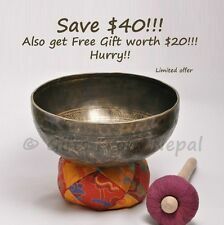 Origin: This singing bowl was made in eastern Nepal. Bliss series are new cymbals made in the ancient tradition. They are exceptionally resilient and slightly soft on the stick. The undertones are warm, rich, dark with an edge of dragons breath. Each one is a unique, complex voice that will excite your imagination. 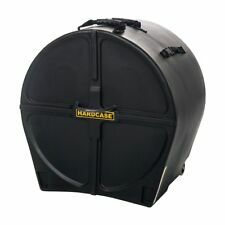 HARDCASE make tough, padded cases for drums of all types and sizes. Whether you play the bongos or a stadium size kit with cymbals and toms of every size there's a HARDCASE for every piece. Not only do they protect your gear from everything life throws at them you can also pick from a range of colours. Cymbal Set Includes, Set includes 14/18/20 with Bonus 16" Crash. NEW - AUDIX CAB GRABBER MIC CLAMP. - Mic arm hand tightens firmly into position. - Simple, elegant, compact and easy to use. Can be used with any microphone weighing up to 16 oz. We do not accept wire transfers. This cajon hat by Latin Percussion adds a hi-hat cymbal to your cajon. 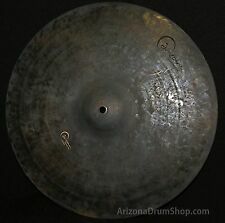 This 9" cymbal is made of premium B20 cast bronze. mounts to your cajon and has adjustable tension. It can be played open or closed for traditional hi-hat wash.
NEW - LATIN PERCUSSION HI-HAT SHAKERE. (Hi-hat stand not included). Other alphabets (Cyrillic, Japanese, Chinese, etc.) will not be translated and your item will be delayed. We do not accept wire transfers. AGEAN CYMBALS R SERIES. It sounds more like Jazz with its lowest mode. All are done skillfully done by talented hands of Turkish Masters. - Hand crafted in Istanbul, Turkey. We are happy to answer. The height and angle of the toms can both be easily adjusted, and the two toms can be adjusted individually. Smaller and lighter than its 22" cousin, the 18" XSR Monarch opens the door to a greater range of pitch to the Monarch family, with more crashable options. Like that amazing cymbal you found in a garage sale, you’ll consider this a huge score. All evans drum heads are designed, engineered and manufactured in the usa. Every possible size is available for any combination of drum kit, with ease of use at the forefront of their design. The latest Zildjian Premium Cymbal Bag is better than ever. Give your cymbal set the protection it demands and the comfort you deserve, with the Zildjian Premium Cymbal Bag. Zildjian 22" Premium Cymbal Bag Features. Set of drum and cymbal muting pads. Contents include silencers for hi-hat, crash and ride, apart from drum silencers. Ahead Drum Silencers not only muffle the sound of an acoustic drum set to an astonishing degree, It does so without dramatically altering the rebound behavior of your drum set. PROFESSIONAL CAJON BAG 20 1/2" W X 12" H X 12" D. Acoustic Guitar Strings. Bass Guitar Strings. Electric Guitar Strings. Carrying grip. External pocket. © 2017 Strings For Less. Heavy duty nylon. Drum cases nest to save space. High impact and waterproof material. Heavy duty wheels to take the load. As with everything in life, we also have limits, here are a few. Curved base gives stability. Used Gear is sold as is. This is all you need to build your own custom Snare drum. Includes 5x14 6 ply maple shell, 8 double sided lugs, 20 strand snares, a strainer, 16 tension rods, top & bottom hoops, and we'll throw in the heads (Coated Attack Top / Clear Snare side). Shell has a JC edge. Special sizes available upon request. (4x14 / 6 1/2x14 / or 8x14) Have fun building your own drum! The Zildjian A Custom 14" EFX cymbal has a unique set of laser generated "cut outs" that allow it to produce a quick, dry and trashy sound used for accenting and punctuating. The new smaller size is a great addition to your kit. Holds all hardware including stands and pedals. AC18522 Professional Cymbal Bag (22"). - Empty Sub Boxes. - 12 Volt Power Supplies. Subwoofer Exception : Our warranty does not cover blown voice coils, or subwoofers that have been punctured. This is considered abuse by the manufacturer and is not covered under warranty. The 19” AAX Thin Crash from SABIAN introduces a whole new palette of sound to the AAX line. much more visible on the surface of the cymbal due to the larger, rounder peen ?. makes for a thinner, more complex and slightly darker crash. Used Gear is sold as is. Installation Harness. - OEM Harness. High Pitch. - Wall Mount Brackets. Traditional Finish. - Sound Damping. - 12 Volt Power Supplies. - In Wall Speakers. The edge is polished and the inner is roughened. Masterwork Cymbals smiths are the artists who use that ancient technics to produce the best cymbals. This is the basic aspect of our corporate philosophy. They are light weight, durable and will survive any outdoor drumming activity. 6 tuning bolts. Explosive energy and bright tone, together. AA is all about classic sounds. Rock, Funk, Jazz, Blues. It's about tradition, about what made history. And it's about making history again. Pitch:Level 5 (AA). Also included is an adapter that fits into either output A or B. With the adapter in output A, you can use a single stereo cable and this cymbal will function like a dual-trigger cymbal. We tested it on a lowly 15 year-old TD-7 and it worked perfectly. Included in this stack is a specially designed 12" HCS trash crash and a 12" HCS china cymbal. GÜIRA DOMINICANA TAMAÑO 25X12" NUEVO HECHA POR GUILLERMO GÜIRA DE REPUBLICA DOMINICANA. ESTA GÜIRA ES PARA GUIREROS DE ALTO CALIBRE Y SUPER PROFESIONAL. BRAND NEW DOMINICAN GÜIRA MADE BY GUILLERMO GÜIRA FROM SANTO DOMINGO, DOMINICAN REPUBLIC, ZISE IS 25X12" AS SHOW ON PICTURES. INTERNATIONAL SHIPPING IS $78.98 WORLDWIDE . THANK YOU. Stick Sound: washy. Wide range, clean mix. Balanced, responsive feel. Full, round crash sound with punch for universal applications. - Dash Kits. The 900 Series is crafted from 2002 Bronze, with its legendary warmth, brilliance and strength. It has all of the patented features of the R4.